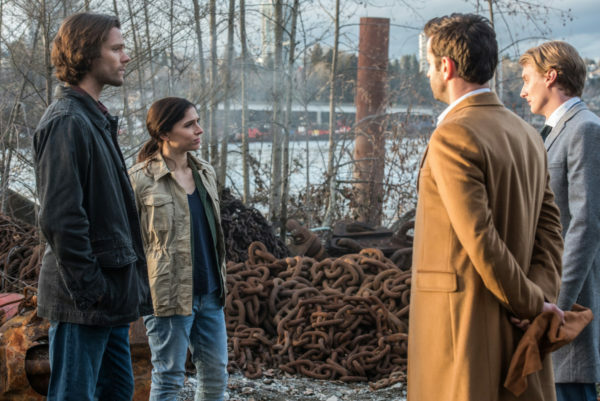 With more insight into Mick’s early life and some revelations about the intricacies of Mr. Ketch, we got a lot of information about the British Men of Letters and a set-up of what is to come for the Winchesters. The boys are in for battles from all sides. Hope they’re up for it! We start the episode with a flashback to Mick’s younger days. He went through quite a bit of mental abuse at London’s Kendricks Academy, as well as throughout his training in the British Men of Letters. The headmistress, Dr. Hess, drilled the code into him so much that he could not see the gray areas of the world anymore. That’s in direct opposition to how Dean and Sam approach hunting, so it’s definitely causing more than a few run-ins as they work together. And it’s not just the gray areas that cause friction, it’s also the fact that Sam and Dean like to play it close to the vest. They did not share information about Kelly or the whole Lucifer fatherhood situation. Yes, this does seem like a huge secret to be keeping from an organization that could help curb a coming apocalypse, but I understand why they did it. 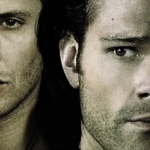 The British Men of Letters have not been very trustworthy so far, so the Winchesters are going to hunt their way — with only the important people in the know. It was nice to see Eileen back and contributing to the search for Kelly and Dagon. The latter is getting her orders directly from Lucifer, and it’s very important that she please him by keeping the baby safe. 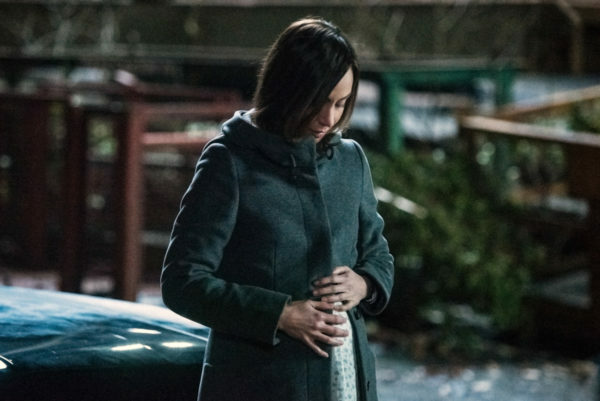 The baby is strong, and likely will not come to danger because of that power, but Kelly is not going to be so lucky. She’s birthing a nephilim. This is not something that she is going to survive, based on those that have come before her. And once that baby is born, and Kelly is no more, Lucifer will once again rise to power. Dear Lucifer is gaining power within his prison already, although Crowley is unaware. He thinks he still has control over Lucifer, but both the minions and the audience know differently. It’s all a game, luring Crowley into a false sense of security, until Lucifer can make his move. He is surely going to cause massive problems for Crowley, the Winchesters, and the world in general. Dean and Sam have a lot on their plate. But not only will they have to deal with Lucifer’s child, and Lucifer himself, but also the British Men of Letters. 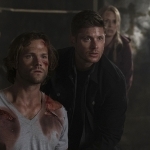 The Winchesters cannot be controlled and do not abide by any sort of code set forth by the group, so Dr. Hess wants them dealt with permanently. And who will do that? Mr. Ketch of course. He’s already taken care of Mick, in a shocking turn of events, and now it’s the Winchesters’ turn. Ketch really does see his mission in black and white and has no qualms about taking out others, despite whatever feelings he might have for them. I do wonder, though, if his fondness for Mary might sway him a little. 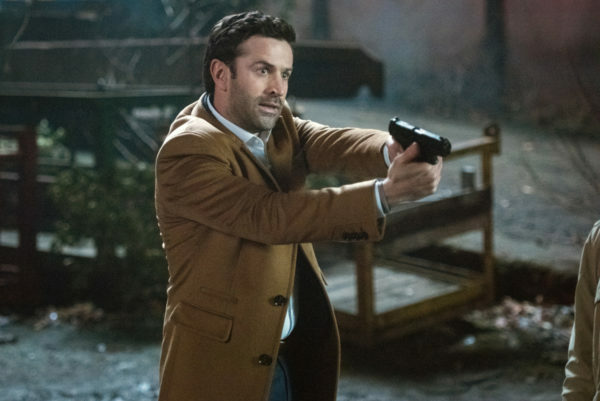 They slept together, he obviously has feelings for her even if Mary denies the same, so how might this affect his assignment of taking out Dean and Sam? 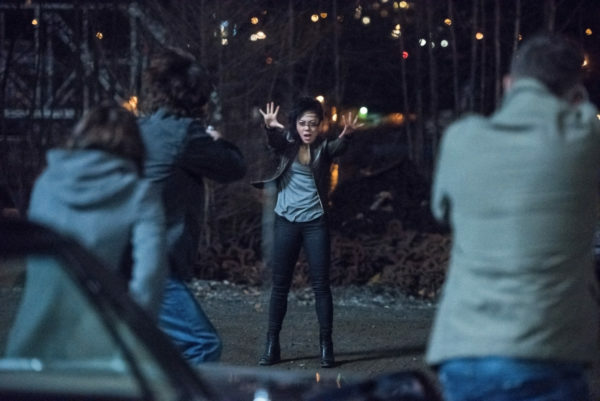 Could the Winchesters be fighting a battle on multiple fronts before this is all over? They’re going to need all the help they can get.